Flowers, favours, and a cake with a body in it... what a way to start a wedding! Diana already regrets saying yes to her neighbour's ridiculous wedding flower demands, but when she discovers a body in the middle of the multi-tiered centrepiece... it's really taking the cake! She needs to get to the bottom of her neighbourhood's dark past, or her new cut flower business could suffer a blight! 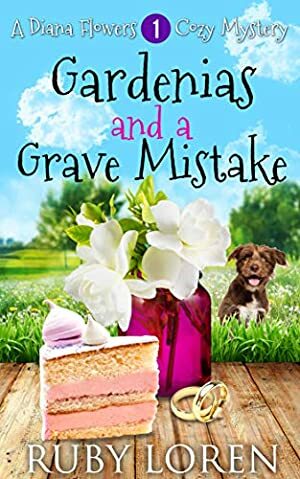 You'll love this funny British cozy series with its floral inspiration, because everyone loves a fierce female sleuth with a nose for a mystery. We started tracking this book on August 31, 2018. The price of this book has changed 4 times in the past 238 days. The highest price to date was $3.99 last reached on October 13, 2018.